TV signed collection. 25+ items. Variety of photos and letters. 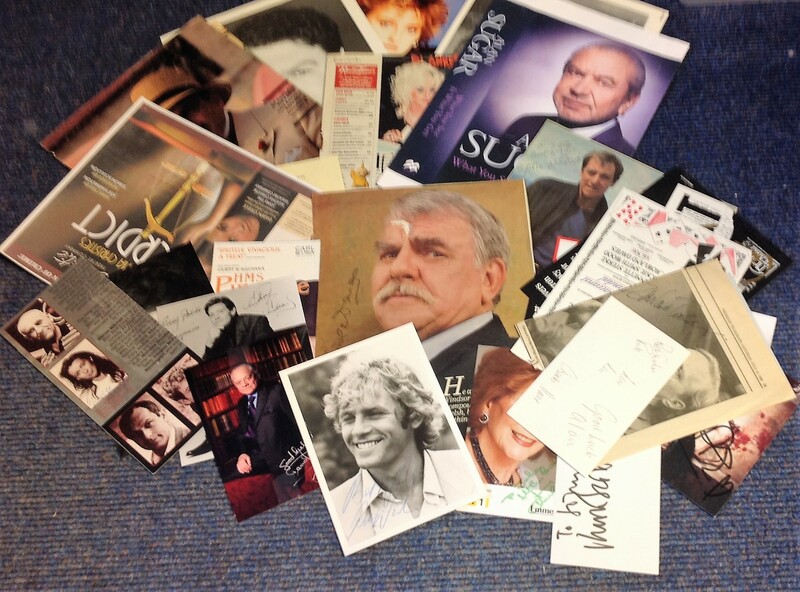 Some of signatures included are David Wood, David Suchet, Carol Drinkwater, Alan Sugar, John Nettles, David Jacobs, Lily Savage, Windsor Davies, Paul Nicholas, Rosie Rowell, Tara Palmer-Tomkinson, Jeffry Wickham, Cherie Lunghi and more. Good Condition. All signed pieces come with a Certificate of Authenticity. We combine postage on multiple winning lots and can ship worldwide. UK postage from £3.99, EU from £5.99, Rest of World from £7.99.